Building connections with educational organizations and other nonprofits. The Ecological Landscape Alliance (ELA) is a nonprofit, member-based organization made up of professionals, businesses, and pro-active community members who believe in using landscape practices that are environmentally safe and beneficial. The Conway-ELA partnership provides enrolled Conway students with one-year student memberships in ELA beginning in September. ELA reserves spots at ELA summer workshops for Conway students and alums, and Conway students and alums write articles for ELA’s monthly email newsletter. Conway exhibits at ELA’s annual conference, and hosts an event for alums the night before the conference. Yestermorrow Design/Build School inspires people to create a better, more sustainable world by providing hands-on education that integrates design and craft as a creative, interactive process. The school offers workshops from two days to two weeks, certificate programs, and a college semester program. These classes cover topics including natural building, sustainable design, energy efficiency and renewables, ecological landscapes, regenerative design, and many more. Yestermorrow’s courses are specifically designed to demystify the designing and building processes using hands-on, experiential learning. The Conway-Yestermorrow partnership includes a 25% discount for Conway alums who take two-day to two-week-long Yestermorrow courses, and a 10% discount on longer courses. Eligible Yestermorrow programs include workshops such as the five-day Regenerative Farm and Garden Design course or the twelve-day Permaculture Design Certificate. Applicants to Conway who have taken the equivalent of a twelve-day course at Yestermorrow can apply for a partial Conway School tuition grant. The UMass Amherst Department of Landscape Architecture and Regional Planning (LARP) is a combined department providing professionally accredited degrees (MRP, MLA, BSLA), one of the most innovative sustainability-focused undergraduate degrees in the country (Sustainable Community Development), a skills-based two-year Associate of Landscape Contracting, and a PhD in Regional Planning. The Conway-LARP Partnership creates a pathway for Conway alums to obtain advanced placement in the MLA program at UMass. The University of Georgia College of Environment and Design provides nationally-accredited, inventive, and demanding programs in landscape architecture, historic preservation, environmental planning & design, and environmental ethics. At CED, students cultivate not only the skills they need to work as professional designers and practitioners, but the individual passions they have to make a difference in their world. The Conway-CED Partnership creates a pathway for Conway alums to obtain advanced placement in the University of Georgia’s MLA program, and to transfer credits into the Master of Environmental Planning and Design (MEPD) program. The Permaculture Skills Center (PSC) is a five-acre demonstration site and educational institution dedicated to sharing regenerative land development and management practices. PSC is located in the Laguna de Santa Rosa watershed just south of Sebastopol, in Sonoma County, California. The site is also the home of PSC’s partner organization, Permaculture Artisans. The Center offers short courses in topics such as water harvesting systems and an online Eco-Landscape Mastery School (ELM). ELM is geared towards professionals looking to start or grow their own practice. The Conway-PSC partnership includes a 25% discount on PSC workshops for Conway alums. Conway will also waive application fees for applicants who have taken an Immersion Program at the Permaculture Skills Center. ALPINE seeks to expand the role that academic institutions play in conserving the New England landscape by sharing experiences and resources among faculty and staff, students, administrations,and alumni. The network’s shared belief is that academic communities can be a powerful force for positive environmental change locally and globally. Conway is a member of ALPINE and participates in meetings and other events. The mission of TerraCorps is to prepare and mobilize emerging leaders to help communities gain access to and conserve land for people and nature. 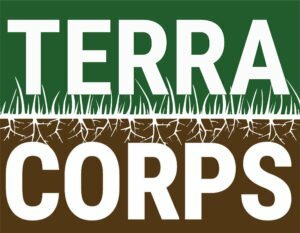 TerraCorps supports full-time AmeriCorps members, serving in 11 month terms. Members serve from August-July with one of our partner organizations located across Massachusetts. Members receive a living allowance, education award, and additional AmeriCorps benefits. Members serve in one of four coordinator positions that differ in their focus on community engagement and organization, land access, conservation and stewardship, and youth or adult education. TerraCorps envisions a future where land is the foundation of health and well-being for all people in every community. Architects / Designers / Planners for Social Responsibility (ADPSR) works for peace, environmental protection, ecological building, social justice, and the development of healthy communities. Association of Professional Landscape Designers (APLD), headquartered in Harrisburg (PA), is dedicated to advancing the profession of landscape design and to promoting the recognition of landscape designers as qualified and dedicated professionals. Climate Justice Alliance builds “local living economies” models focused on clean community energy, regional food systems, zero waste, efficient, affordable, and durable housing, public transportation, ecosystem restoration and stewardship within scientific planetary boundaries. Council of Educators in Landscape Architecture (CELA) is composed of virtually all the programs of higher learning in landscape architecture in the United States, Canada, Australia and New Zealand. The mission of The CELA is to encourage, support and further education in the field of landscape architecture specifically related to teaching, research, scholarship, and public service. New England Wildflower Society (NEWFS), headquartered in Framingham (MA), conserves native plants in the wild and encourages gardeners and landscape professionals to choose natives when they plant outdoor spaces, particularly plants grown from local seeds, harvested sustainably in the wild. Omega Institute for Holistic Studies, based in Rhinebeck (NY), is a nonprofit, mission-driven, and donor-supported educational organization. For more than 40 years they’ve been a pioneer in holistic studies – helping people and organizations integrate personal growth and social change, moving beyond ‘the way it is’ toward ‘the way it can be’. Permaculture Association of the Northeast (PAN) seeks to increase the resilience of the Northeast region by strengthening the regional permaculture network and increasing access to relevant education and resources. Society for Ecological Restoration (SER), headquartered in Washington, D.C., advances the science, practice and policy of ecological restoration to sustain biodiversity, improve resilience in a changing climate, and re-establish an ecologically healthy relationship between nature and culture. The SER New England Chapter was established in 2005 and serves members in Maine, New Hampshire, Vermont, Massachusetts, Rhode Island, Connecticut, and Upstate New York. Valley Alliance of Worker Co-operatives is dedicated to building a sustainable local economy by facilitating the growth and development of worker cooperatives in Western Massachusetts and Southern Vermont. Wild Seed Project, based in Portland (ME), works to increase the use of native plants in all landscape settings in order to conserve biodiversity, encourage plant adaptation in the face of climate change, safeguard wildlife habitat, and create pollination and migration corridors for insects and birds.